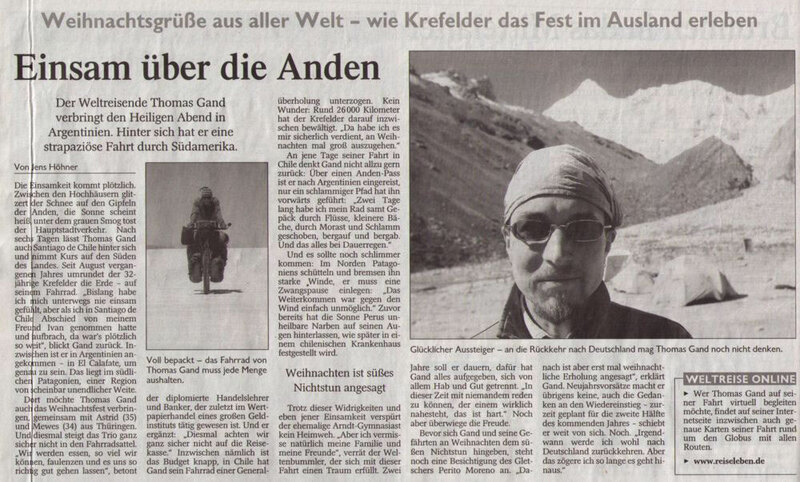 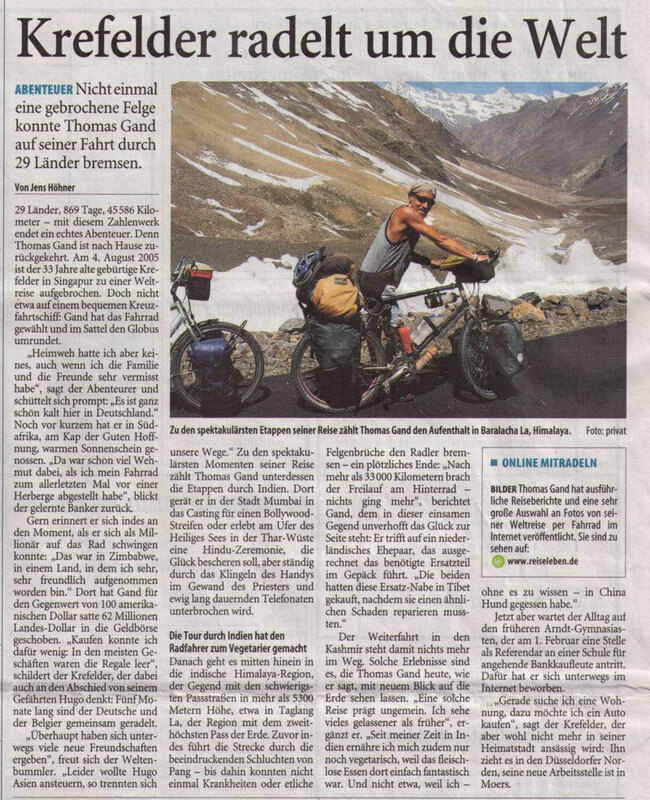 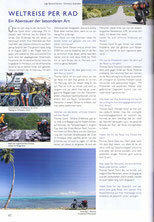 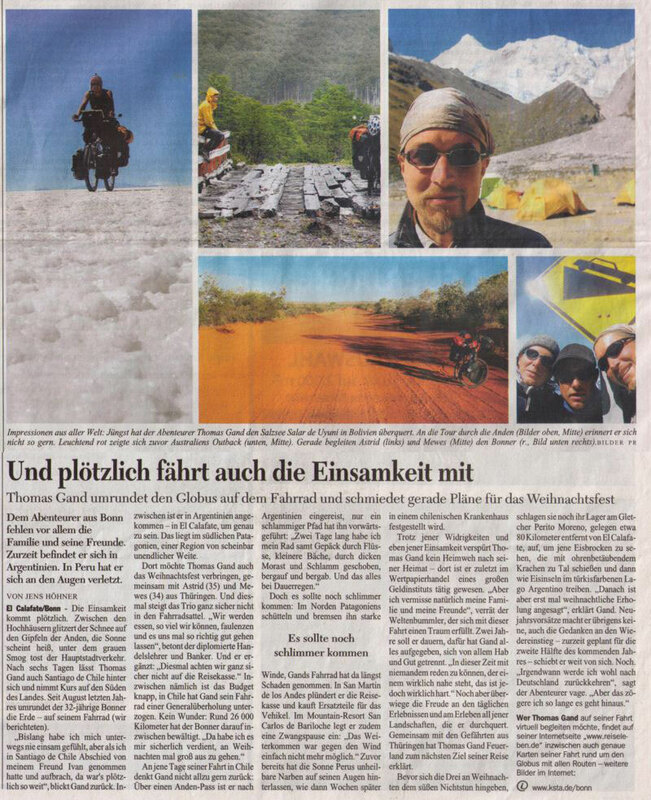 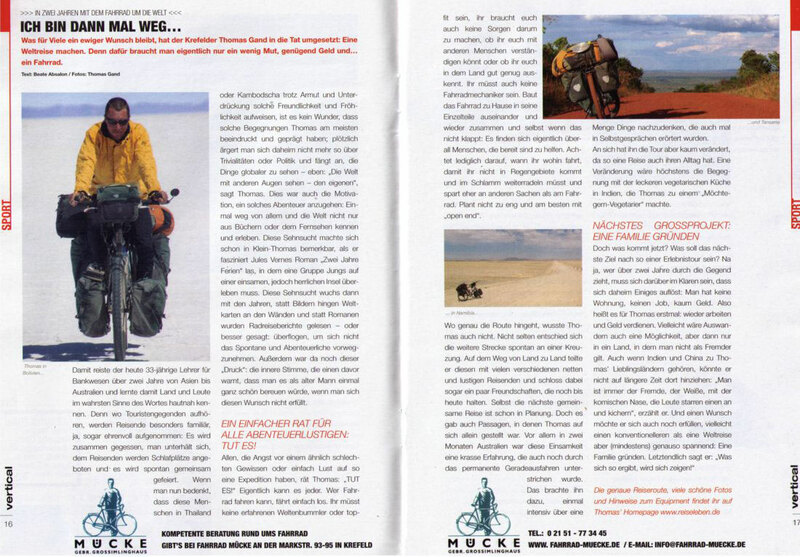 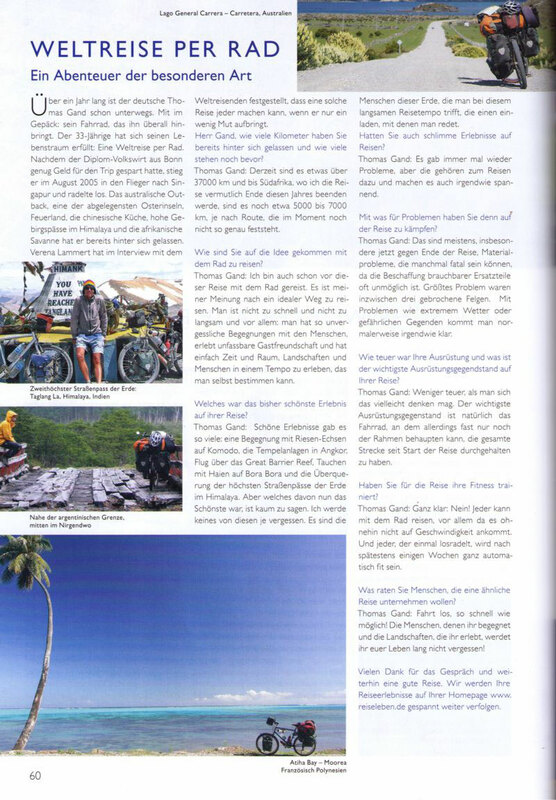 Download videos of TV-talkshows and -interviews and Radio interviews and find newspaper and magazine stories related to my two and a half years bicycle worldtrip. 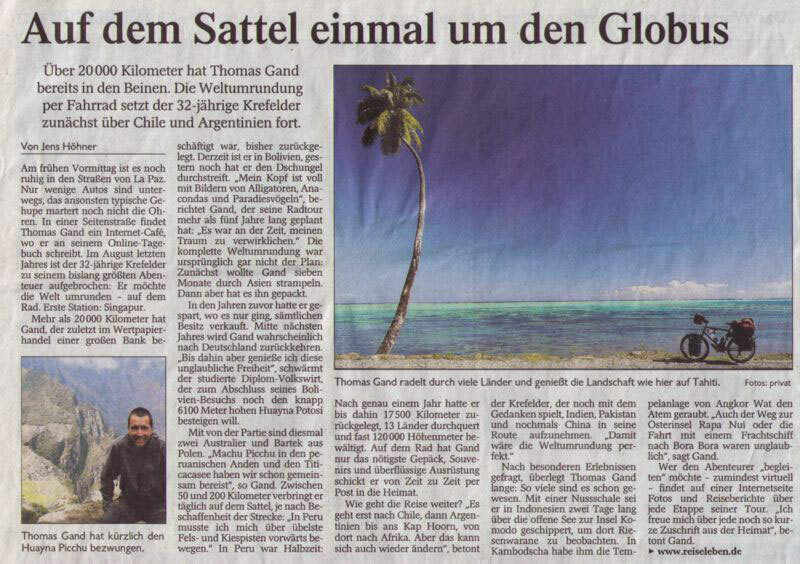 Talkshow guest und report about the world trip. 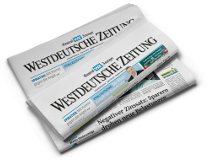 Do you like Press, Radio & TV? 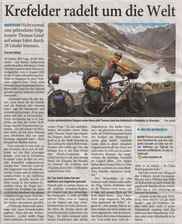 Share Press, Radio & TV!